The all-new 2014 Chevrolet Impala is Chevrolet's newest and best attempt to get back in the full-size car game. Once the dominant player in the segment, the Impala had some down years, but this iteration is fresh, good-looking and chock-full of useful features. My Chevy Impala is my affordable version of luxury. Overall, my 2014 Chevy Impala has been able to meet my needs. I drive over 100 miles each day and it has been holding fairly well. There are some nice luxury like features in my particular model as well such as the large sunroof, leather seating, etc. There is adequate leg room in the back seat and trunk space is abundant. . I carry a lot of supplies for work at any given time and the trunk space in my Chevy Impala meets my needs. I mostly drive highway miles and for being a larger sedan I get pretty good miles to the gallon. The tank holds about 16 gallons of unleaded type gas and I spend about forty five to fifty dollars in gas each time I fill up at the pump. The screen on the inside is nice and large which is a plus. I think for the most part I would recommend this car to people. I love my white Chevrolet Impala lt. I really love my Chevrolet Impala. Although it was a used vehicle and had only 15, 000 miles on it in 2014 when I purchased it, I only have 33, 000 miles at this time. The ride is very comfortable. This is my first Chevy. I take it to the local Chevrolet dealer for oil changes and repairs. I have had to have a transmission fluid leak repaired. It was about $250 to get it done. The dealer also changes the oil and checks everything that needs to be checked. The appointments are set at a convenient time for me and I am offered a ride home or I can wait for my car to be finished. The heated seats are great in the winter and I also have remote start which helps to get the car warmed up and defrosted started. General Motors LLC (GM) is recalling certain model year 2014 Chevrolet Impala vehicles manufactured November 5, 2012, to December 20, 2013. Due to a poor electrical ground connection to the Power Steering Control Module (PSCM), the affected vehicles may have a loss of power steering assist during start up or while driving. GM will notify owners, and dealers will clean paint from behind the ground stud nut and update the PSCM software, free of charge. The recall is expected to begin in late August 2014. Owners may contact Chevrolet customer service at 1-800-222-1020. GM's number for this recall is 14330. General Motors LLC (GM) is recalling certain model year 2013-2014 Cadillac XTS vehicles manufactured April 11, 2013, to June 27, 2013, and 2014 Chevrolet Impala vehicles manufactured May 13, 2013, to November 5, 2013. The affected vehicles may have left the factory with the sensing and diagnostic module (SDM) set to "manufacturing mode." In manufacturing mode, the vehicle's air bags will not deploy in the event of a crash, increasing the risk of occupant injury. GM will notify owners, and dealers are to reprogram the SDM to the correct mode, free of charge. The recall is expected to begin in September 2014. Owners may contact Cadillac customer service at 1-800-458-8006 or Chevrolet customer service at 1-800-222-1020. GM's number for this recall is 14532. GM will notify owners, and dealers will update the electronic parking brake software, free of charge. The recall is expected to begin in September 2014. Owners may contact Chevrolet customer service at 1-800-222-1020, or Cadillac customer service at 1-800-458-8006. GM's number for this recall is 14471. General Motors LLC (GM) is recalling certain model year 2014-2015 Chevrolet Impala vehicles manufactured May 7, 2014, to July 28, 2014. In the event of an accident, the center storage console may not stay latched. As such, these vehicles fail to comply with the requirements of Federal Motor Vehicle Safety Standard No. 201, "Occupant Protection In Interior Impact." The storage compartment door may not remain closed in the event of a crash, increasing the risk of occupant injury. Parts to remedy this condition are not currently available. GM will send owners an interim notification in early October 2014, and will send a second letter when parts are available. At that time dealers will inspect, and if necessary, replace the console storage compartment door inertia latch, free of charge. Owners may contact Chevrolet customer service at 1-800-222-1020. GM's number for this recall is 14476. 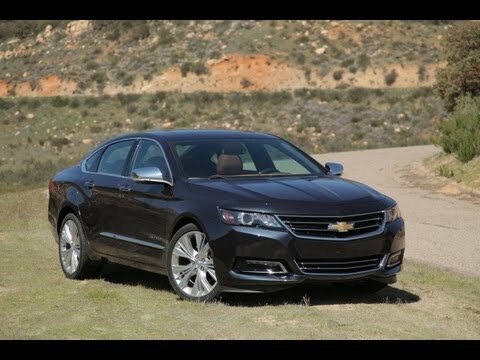 General Motors LLC (GM) is recalling certain model year 2014 Buick Regal, Cadillac XTS, Chevrolet Camaro and Chevrolet Impala vehicles. Improperly torqued fasteners may cause the steering intermediate shaft and the steering gear and/or the lower control arm and the lower ball joint to separate. If any of the components separate, the vehicle may have a loss of steering, increasing the risk of a crash. GM began to notify owners on June 27, 2014, and dealers will inspect the fasteners for correct torque, correcting them as necessary, free of charge. Owners may contact GM customer service at 1-800-521-7300 (Buick), 1-800-458-8006 (Cadillac) or 1-800-222-1020 (Chevrolet). GM's number for this recall is 14378. General Motors LLC (GM) is recalling certain model year 2013 Cadillac ATS and model year 2013 Cadillac XTS; and model year 2014 Chevrolet Impala vehicles. On the affected vehicles, the brake lamps may intermittently flash without the brakes being applied and the cruise control may disengage. Thus, these vehicles fail to conform to the requirements of Federal Motor Vehicle Safety Standard (FMVSS) No. 108, "Lamps, reflective devices, and associated equipment." General Motors LLC (GM) is recalling certain model year 2014 Chevrolet Impala vehicles manufactured March 22, 2013, to May 22, 2014. In the affected vehicles, the electronic parking brake piston actuation arm may not fully retract causing the brake pads to stay partially engaged. Thus, these vehicles fail to comply with the requirements of Federal Motor Vehicle Safety Systems (FMVSS) No. 135 "Light Vehicle Brake Systems." GM has notified owners, and dealers will reprogram the electronic parking brake control module with new software, free of charge. The recall began on May 6, 2015. Owners may contact Chevrolet customer service at 1-800-222-1020. GM's number for this recall is 15259. Note: The vehicles covered by this campaign were previously remedied incorrectly under campaigns 14V541 or 15V085. General Motors will notify owners, and dealers will inspect and replace any affected transmission shift cable adjusters, free of charge. The recall is expected to begin in late March 2014. Chevrolet owners may contact General Motors at 1-800-222-1020, Buick owners at 1-800-521-7300, and GMC owners at 1-800-462-8782. General Motors' number associated with this recall is 14048. General Motors LLC (GM) is recalling certain model year 2014 Chevrolet Impala vehicles manufactured November 15, 2012, to May 27, 2014. In the affected vehicles, the electronic parking brake piston actuation arm may not fully retract causing the brake pads to stay partially engaged. Thus, these vehicles fail to comply with the requirements of Federal Motor Vehicle Safety Systems (FMVSS) No. 135 "Light Vehicle Brake Systems." GM will notify owners, and dealers will reprogram the electronic parking brake control module with new software, free of charge. The recall began March 5, 2015. Owners may contact Chevrolet customer service at 1-800-222-1020 (Chevrolet). GM's number for this recall is 15100. Note: This recall covers a limited population of vehicles that were remedied incorrectly under recall 14V-541. General Motors LLC (GM) is recalling certain model year 2014-2015 Chevrolet Impala vehicles manufactured April 15, 2013, to June 19, 2015, equipped with front vented-heated passenger seats. Accordingly, the Automatic Occupant Sensing (AOS) system may fail to suppress the front passenger air bag if a child seat is in the front passenger seat. These vehicles fail to comply with the requirements of Federal Motor Vehicle Safety Standard (FMVSS) No. 208, "Occupant Crash Protection." If the front passenger air bag deploys with a child seat in the front passenger seat, it increases the risk of injury to the child. GM will notify owners, and dealers will correct the calibration-learning error by preconditioning the empty seat, and also resetting the ECU to a seat zero-value, free of charge. The manufacturer has not yet provided a notification schedule. Owners may contact Chevrolet customer service at 1-800-222-1020. GM's number for this recall is 15400.